Built a "Makerspace" in the old library computer lab to accompany our already thriving STEM program. Click this link to learn more about "MakerSpaces". Developed a new bell schedule that is more in line with Pitman High School. This schedule affords students more choices and opportunities to meet with teachers (to discuss progress) during an "Advisory" period. Added a "future ready" related arts rotation that includes exciting new courses like "Career Orientation," "Study Skills," and "Growth Mindset". Adopted new "basic skills" instructional programming in ELA and Math. Created ELA and Math Lab courses that are differentiated by student need using Link-it and PARCC data. Added/ expanded club and activity offerings. We are excited about these expanded offerings and the growth of our existing programs! This calendar contains detailed entries for all major district events. Please consult the school calendar/ upcoming events section of this page for school specific information regarding events. Contact the individuals below to report/ discuss school or district ant-bullying procedures and policies. Access this link for additional information. 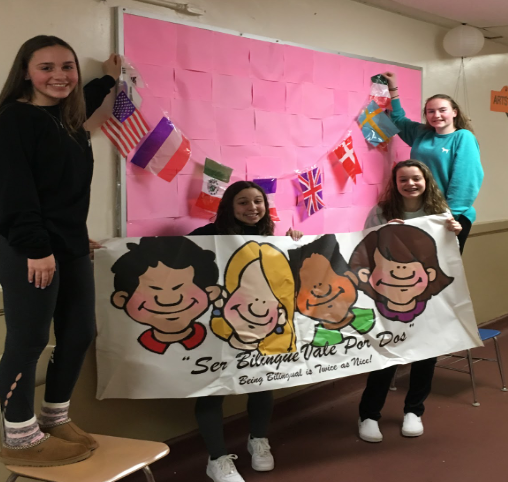 "Diversity Week" started early in Spanish class. Click the article title to read more about our recent activities. 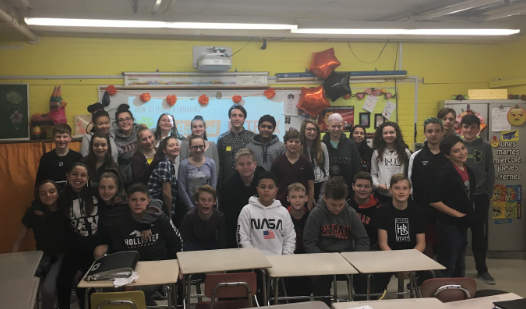 PMS Spanish students had a wonderful opportunity to hear from Valued Community Member and recent Pitman High School Graduate (2018), Mr. Alex Chebotarev. Mr. Chebotarev came back to PMS to share with students his successful experiences in World Languages. Click the title above to read the full article. What a great time we have been having ,in Spanish class, in 2019!! Students everywhere celebrated Three Kings Day by making paper crowns , eating treats donated by the families of Spanish students and learning more about this cultural celebration through discussion and videos. 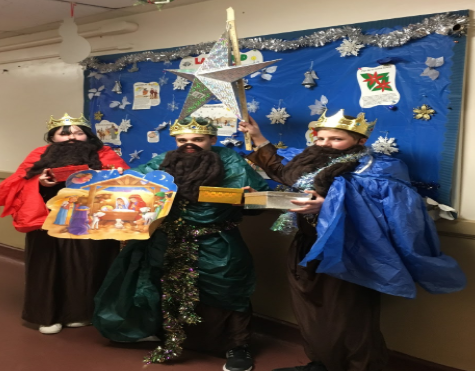 Additionally, Students in Mrs. Jacobo’s full year 8th grade Spanish classes joined with Mrs. Donnelly’s Social Studies class for a special celebration of Three Kings Day or Dia de los Tres Reyes. Students in Spanish class developed and shared presentations about the cultural celebration of Dia de Los Tres Reyes. This holiday is celebrated every year on January 6th. Mrs. Donnelly's class was then invited by “The Three Kings” to sing along in Spanish and play traditional instruments while the Spanish class led everyone in some traditional Three Kings Day songs. Students were then given gifts of giant jelly bean filled candy canes as a “reward” for being good all year and helping others. Finally, the volunteer Three Kings led a trivia game about the history of Three Kings Day . Winners were given more prizes for knowing so much about this fun Hispanic cultural celebration. 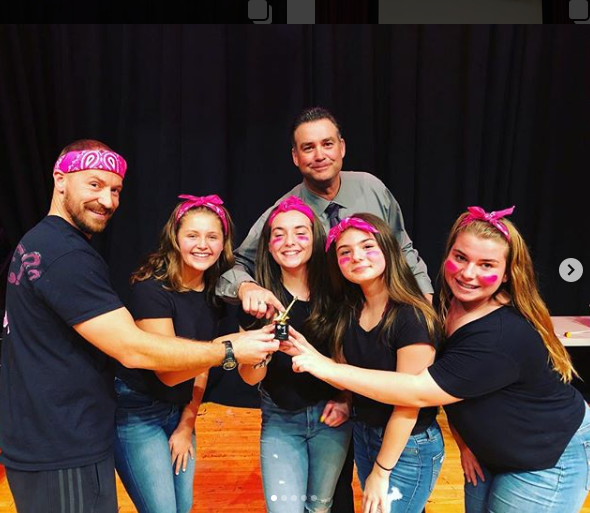 Girl Power took the win at the 2nd Annual Name That Tune Tournament. Students, staff and Pitman Police officers fiercely competed to see who could name hits from across the decades. A big thank you to Mrs. Dunn and Mr. Botbyl for putting together this fantastic event! 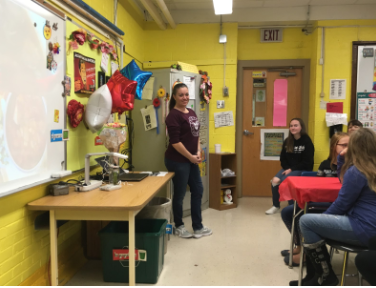 Spanish classes at Pitman Middle School welcomed our first Special Speaker of the year-Valued Community Member and Staff Member Mrs. Erica Morton. Mrs. Morton shared with the class how her Spanish (from Spain) heritage and her husband’s Mexican heritage influence their celebration of Día de Los Muertos or Day of the Dead.Mrs. Morton shared with the class photos of her extended family’s traditional celebration. We also saw and learned about traditional foods eaten on Día de los Muertos, including a wonderful Pozole (Red Pork Stew) which was made for us by Mrs. Morton. We were joined by invited guests Mr. Ward’s and Mr. Chiaro’s classes. Building upon our unique traditions, the mission of the Pitman School District, in partnership with our families and community, is to educate all students through exceptional learning experiences to be discerning, ethical, confident citizens. All students will satisfy the requirements of the New Jersey Student Learning Standards.